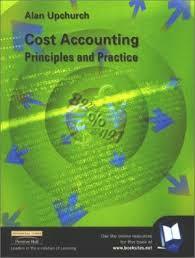 245 1 0 %a Cost accounting : %b principles and practice / %c Alan Upchurch. 260 %a London : %b Pearson Education, %c cop. 2002. 300 %a XVI, , 698 s. : %b il. ; %c 25 cm.